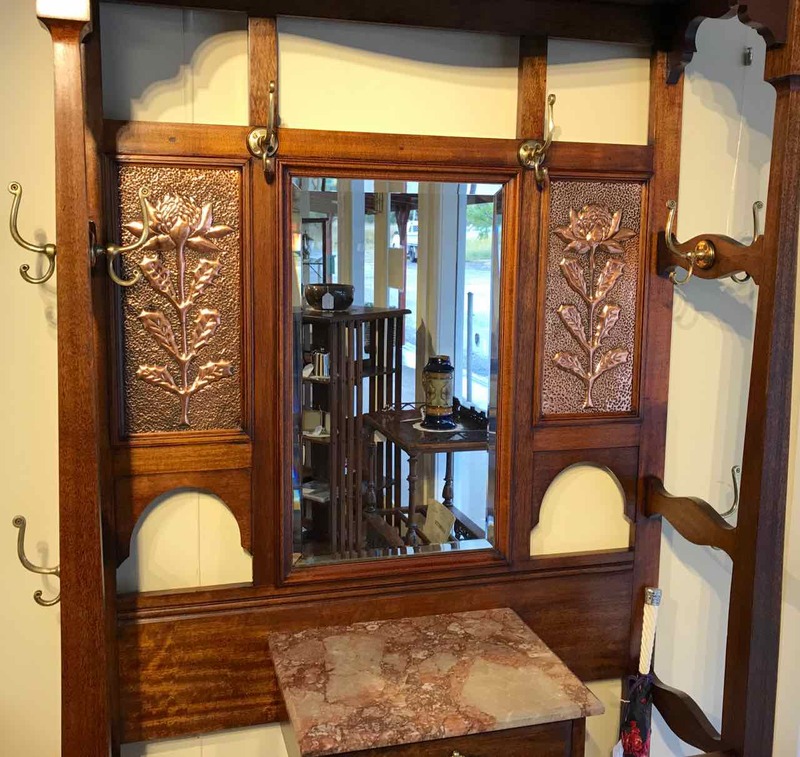 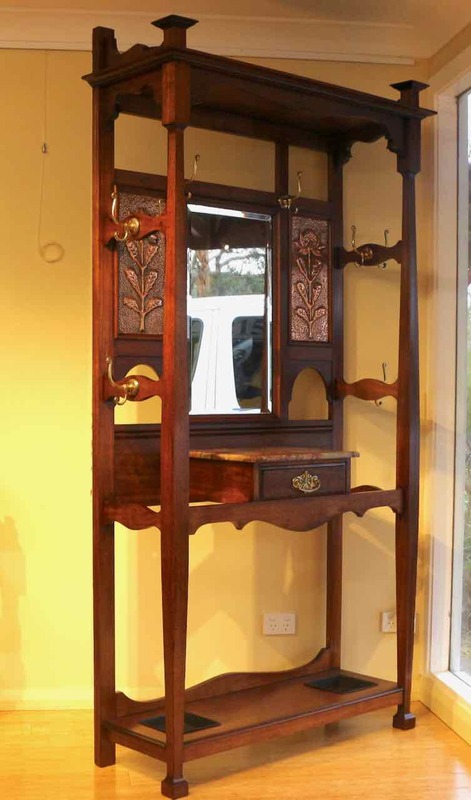 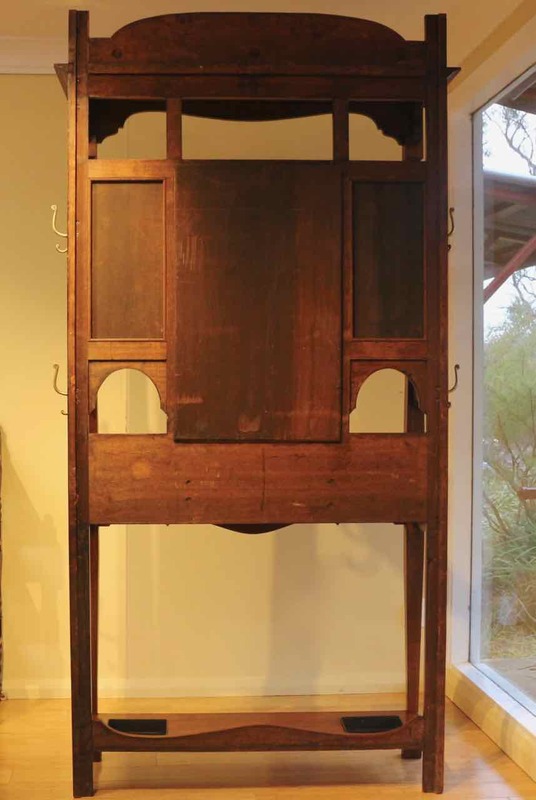 Early 20th Century Arts and Crafts Queensland Maple Hallstand, with a central bevelled mirror flanked by beaten copper panels featuring well executed waratah designs. 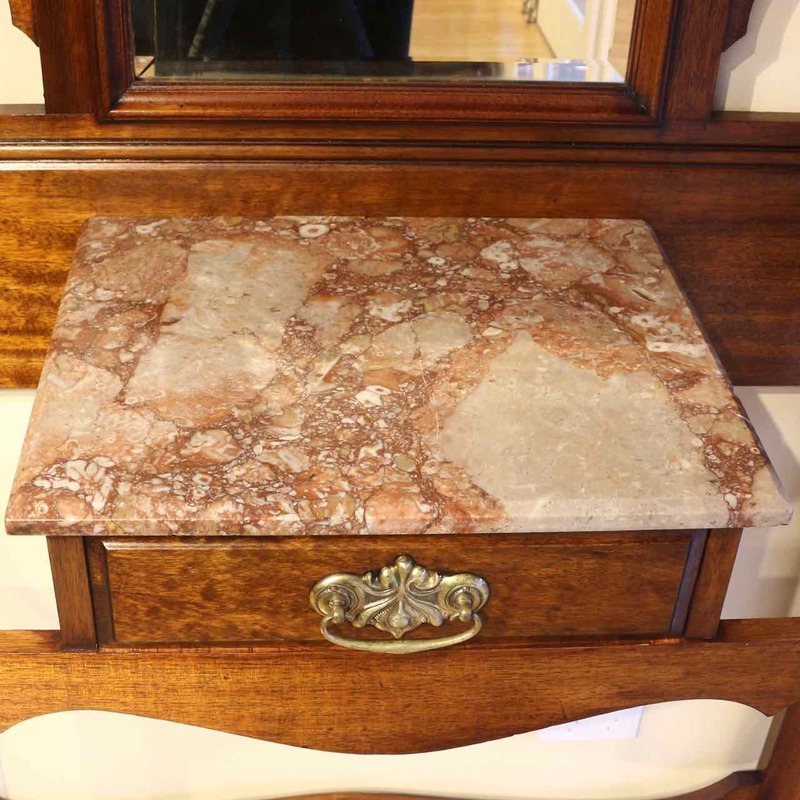 The glove drawer is covered by rouge marble. 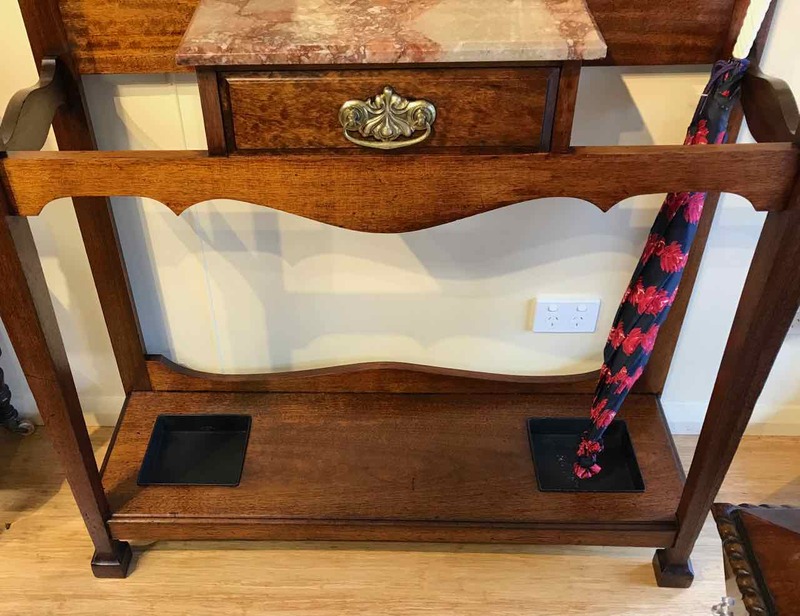 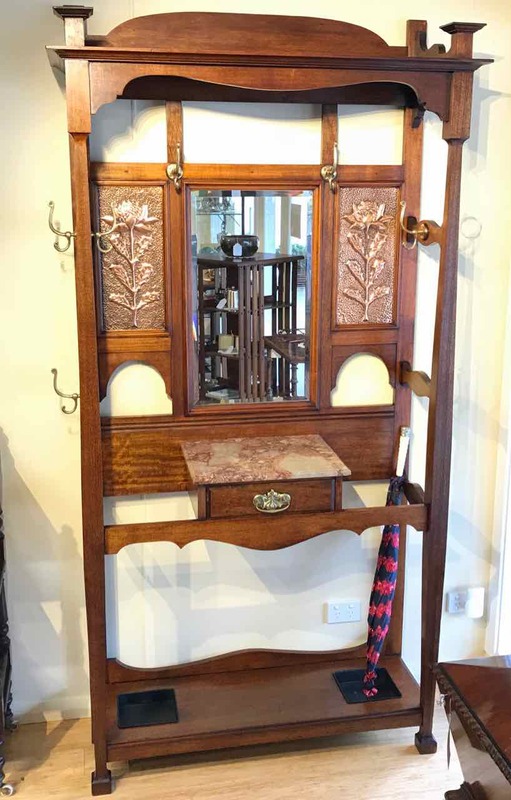 A very good quality hallstand - the extra Arts and Crafts structural uprights at the front means that this piece is not prone to bending, from the weight of coats, etc over time. 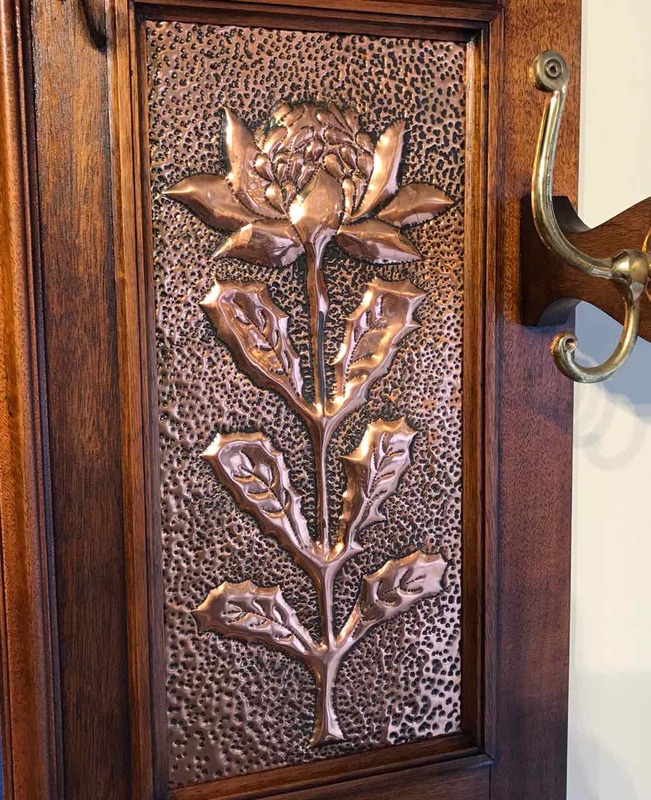 The width of 119cm includes the 8 beautiful brass coat hooks.